"Green Coffee Ultra™ is the best green coffee product on the market. It was the only green coffee supplement that really worked for me!" Green Coffee Ultra™: Order Today! Order by Phone (888-808-7855) or Order Online. 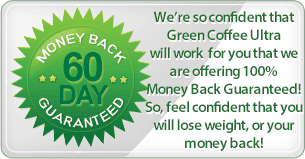 Green Coffee with 50% Chlorogenic Acid is a proven weight loss therapy that works quickly and effectively. We have arranged different packages for added value. Choose from the packages below, and pick the one that best suits your needs. We recommend the 4-6 month supply in order to gain maximum weight loss benefits. For a limited time, we are offering a Buy 3 Get 3 Free Special, because we are committed to helping you lose weight. We ship all products discreetly within 24 hours (weekdays) no matter what quantity. Orders received on the weekend will ship first thing Monday morning. We are determined to get you your treatment as quickly as possible. Expect delivery within 4-5 business days by the United States Postal Service. A charge for shipping and handling will be applied at checkout. We ship to the United States, Canada, and internationally. All orders are shipped out of the US, so expect additional delivery time if shipping outside of the US. We offer the option of Express Delivery shipping at checkout for immediate delivery. Orders received on the weekend will ship first thing Monday morning. Orders received after 10:00am EST will go out the next business day. treat, cure, or prevent any disease. 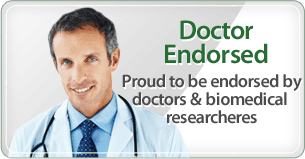 Medical conditions can only be diagnosed by a licensed medical physician.